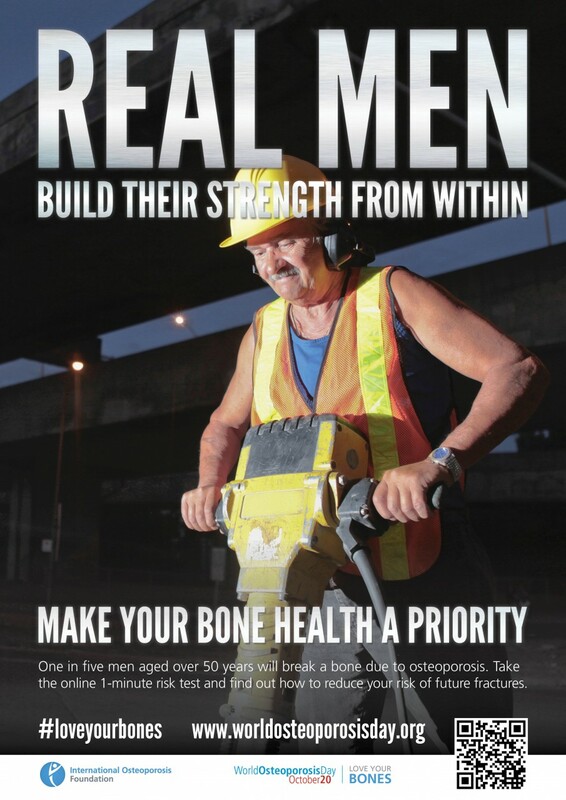 Campaign developed for the International Osteoporosis Foundation’s World Osteoporosis Day. 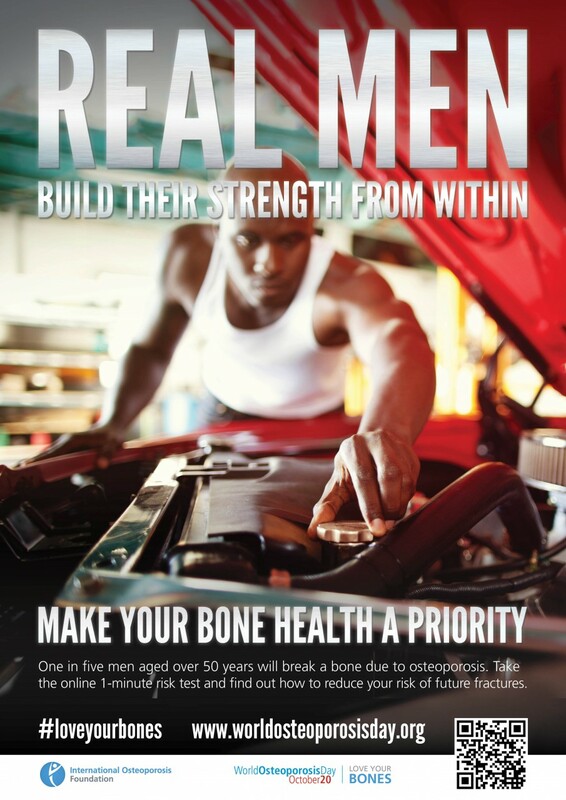 The theme focuses on the misconception that men aren’t at risk of osteoporosis. The idea behind the campaign is that men traditionally worry more about their physical appearance and how they’re perceived in society than they do about their health. 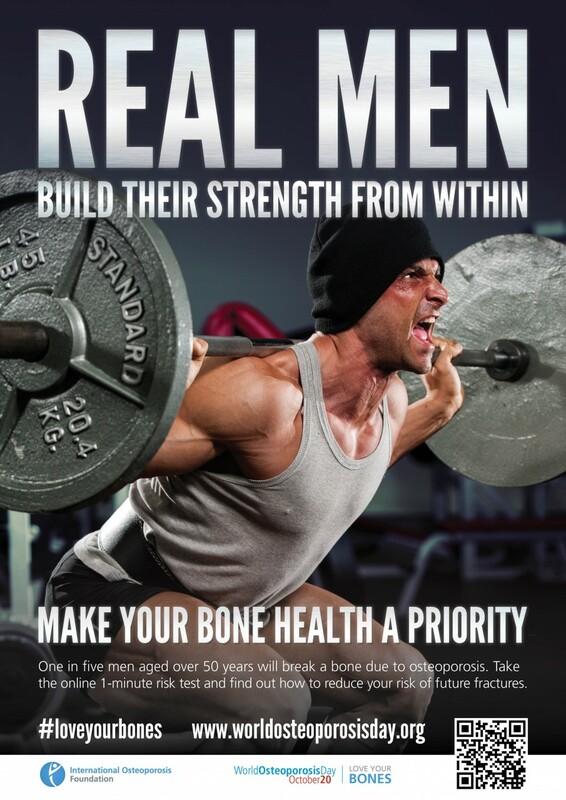 As the slogan suggests, it is meant to encourage men to devote as much attention to their bone health as they do other activities that make them seem strong.